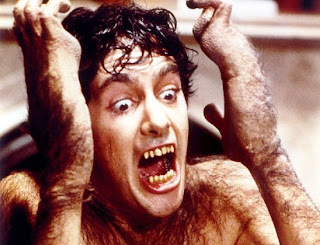 I'm closing out 2011 with one last edition of Three Decades of David, my year-long celebration of the 30th anniversary of An American Werewolf in London. 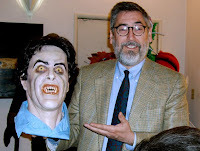 This time out, we take a look at the man who brought this visionary and influential horror film to life, and one of the most underrated directors in the entire horror canon, Mr. John Landis. Known equally for his work in comedy and horror, Landis has been a fixture in Hollywood since the late 1970s, when he exploded onto the scene with National Lampoon's Animal House, the film that established him as a top filmmaker. Nevertheless, filmmaking had been a passion for the Jewish-born Chicago native since he was a small child absorbing in amazement the work of Ray Harryhausen in movies like The 7th Voyage of Sinbad. 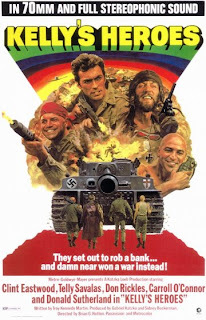 Landis got his start as an assistant director in Yugoslavia on the 1970 war comedy Kelly's Heroes, and also spent some further time in Europe assisting on movies like El Condor and Sergio Leone's Once Upon a Time in the West. His actual feature film debut came in 1971 at the age of 21, when he wrote and directed the low-budget monster movie tribute, Schlock. But most of the '70s were tough for the young Landis, as he tried to break into Hollywood, taking any odd job he could along the way. He got a major break in 1977 when he directed the Zucker brothers breakout Kentucky Fried Movie, but it was Animal House a year later that put him on the map. It was that movie that pushed Landis into a vibrant creative circle that included hot directors like Steven Spielberg and many of the masterminds behind America's new cutting-edge sketch comedy series, Saturday Night Live. In fact, his next feature would be the first film to be adapted from an SNL skit, namely The Blues Brothers starring Dan Akroyd and John Belushi. His name established as a comedy director, Landis at last felt comfortable delving into an area that had long been his passion: horror. When he got the word out that his next project would be a personal labor of love called An American Werewolf in London, a lot of people were surprised that the director of such happy-go-lucky, light-hearted fare was tackling such a supposedly heavy project. Little did they know how close to his heart the material was. Actually, the original concept came to Landis while working on Kelly's Heroes in Yugoslavia, when he witnessed some peasants burying a man suspected of being a werewolf. For 12 years, Landis had nursed the AWIL project, and to this day it is considered by most to be his finest work. Deftly weaving black comedy and real horror in a way not quite seen before, Landis crafted a truly innovative, preeminently influential motion picture, one worthy of being called one of the greatest fright films of all time. 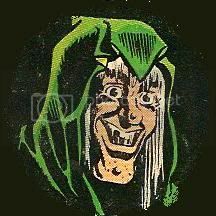 Best of all, he brought his unique comic sensibility to the project, making it a movie that's pretty tough to compare to anything else. Finally having broken through to the genre he cherished best of all, Landis continued on for a bit in the horror vein, joining forces with none other than Steven Speilberg to produce a movie based on the classic Rod Serling TV series, The Twilight Zone. Also directing a portion of the anthology film, Landis ran into some serious trouble that nearly derailed his career when famed actor Vic Morrow and two child extras were accidentally killed in a helicopter during filming. 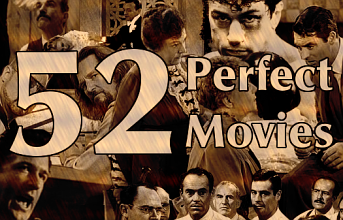 After a trial for involuntary manslaughter and child endangerment, Landis and company were acquitted of all charges, but the tragedy and controversy has haunted the producer/director to a certain degree ever since. Regardless of the Twilight Zone debacle, the 1980s was something of a golden era for John Landis. He would go on to direct the most famous music video of all time, Michael Jackson's "Thriller", which is in and of itself something of a horror short subject. He then settled back into his comedy comfort zone for much of the decade, putting out fondly remembered '80s flicks like Trading Places, Spies Like Us, Three Amigos and Coming to America. If the 1980s was a golden age for Landis, then his directorial career took a decided dip into silver or bronze territory in the 1990s. This was the decade that gave us the Sylvester Stallone turkey Oscar, and the ill-conceived Tom Arnold vehicle The Stupids. Even a return to the franchise that once brought him such acclaim resulted only in the completely forgettable Blues Brothers 2000. Similarly, Beverly Hills Cop III did nothing to change the trend. Although certainly not anywhere near the same ballpark as American Werewolf, Landis did make a brief return to horror in the 1990s with the vampire/gangster comedy Innocent Blood. While entertaining and possessing something of that Landis horror/comedy spark, it was a far cry from what the director had accomplished a decade prior. Perhaps recognizing this downward trend, Landis shifted gears in the new century, turning to documentary filmmaking for much of the first decade. And now, the producer/director has reportedly shown interest in returning to the horror genre in the coming years, a rumor which is supported by his executive producing of last year's underground horror/comedy hit Some Guy Who Kills People. 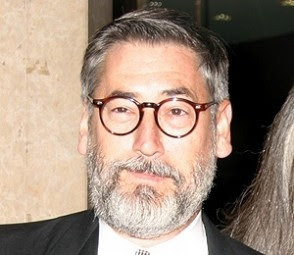 Although his body of work can adequately be described as erratic, John Landis nevertheless deserves recognition as one of the brightest, visionary genre directors of his time. Just the achievement of An American Werewolf in London alone would be enough to afford him a fond remembrance in the hearts of horror and comedy fans. Add his successful SNL-alum comedies of the 1970s and 1980s, and you have a filmmaker who more than made his mark on his era. 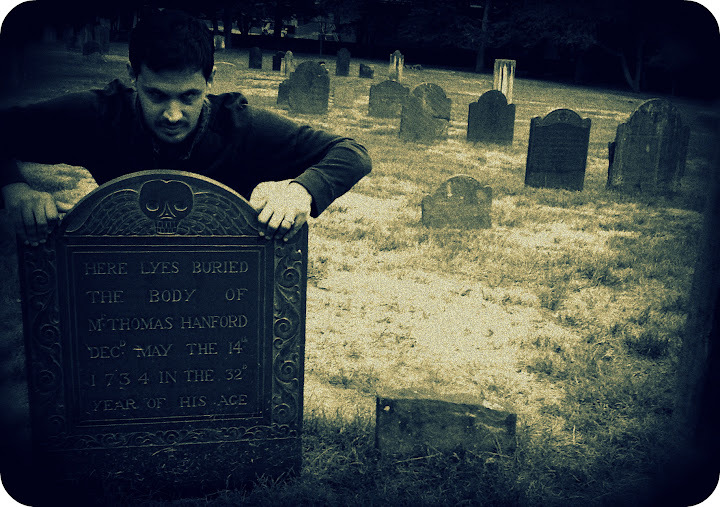 Inspired by genre great Ray Harryhausen in that darkened theater, Landis grew to become a genre great himself. Thanks! 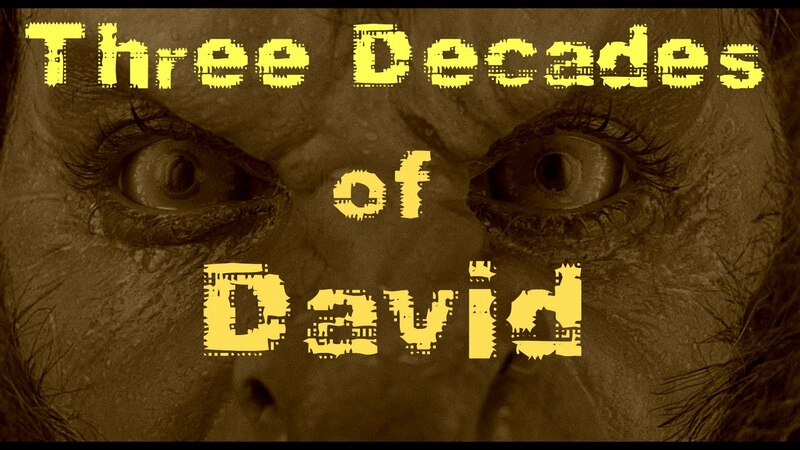 That was my goal for Three Decades of David last year, to help bring attention to the 30th anniversary. And wait till you what anniversary I'll be celebrating this year!